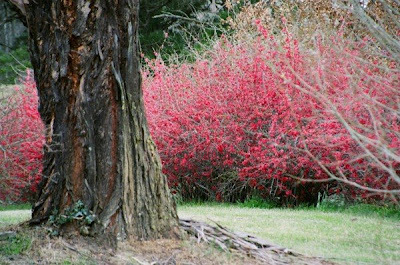 Japanese flowering Quince - Along an old country road in Bowral, near where I live is a very large private garden filled with wonderful old trees. 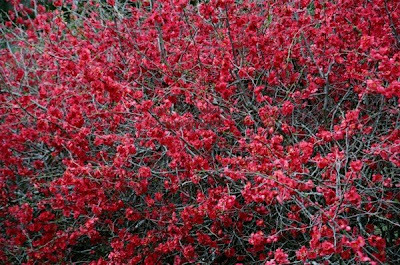 Each year this bush of red flowers blossoms. 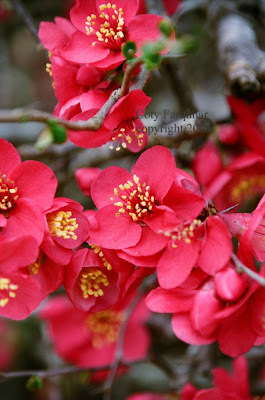 Chaenomeles japonica otherwise know as Japanese flowering Quince. 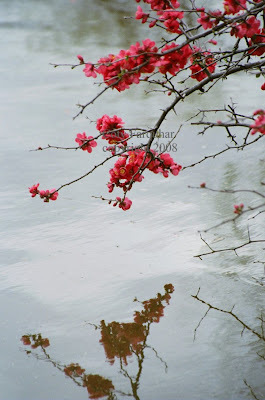 The twigs and branches lean over the lake and reflect in the water. It is the most amazing site. Of course I had to make a detour to this garden to capture this beautiful site. The bird life was fantastic swooping around the japonica and in every tree and the bees, well the bees,, I did get a bit worried the closer I got. I also don't think there is very much pruning happening in this garden as each year this bush just gets bigger and bigger. Wait till I show you their old Oak Trees. We visit often in spring a park in The Hague. 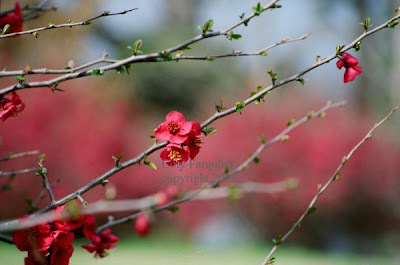 There is a beautiful Japanese garden with lot of azalea's and in the park so many rodondendrons. 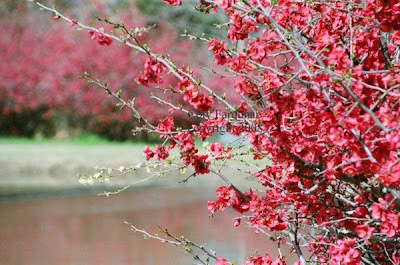 Dear Coty......what beautiful flowers!! I think we have these here in Texas. 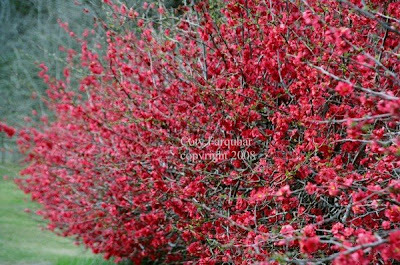 I am still learning the trees, bushes and flowers of Texas....but I believe that I saw these Japanese Quince bushes here. The only thing is that I thought the flowers were short lived...is that the case with yours in Australia?